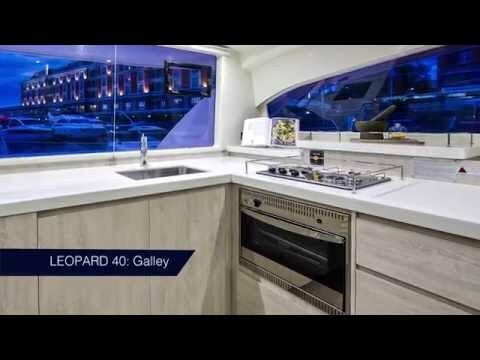 Leopard Catamarans Brokerage is Proud to Present the Exceptional 2017 Leopard 40 Owners Version "Joyride", in Boat Show condition !! 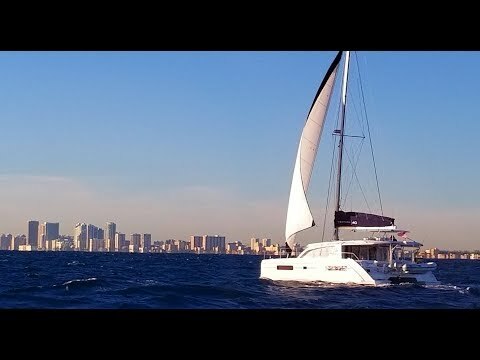 2017 ROBERTSON AND CAINE LEOPARD 40 – "Joyride"
BROKERS REMARKS: JOYRIDE is a desirable Owners Version, perfect for a couple or a cruising family. Yanmar engines, Raymarine Electronics Package with 24 nm Radar, Northern Lights 6kw Generator, Air Conditioning, Electric Dinghy Davits, Hypalon Dinghy and 20hp Outboard, Custom Cockpit Cushions, watermaker, and Sea Blaze underwater lights. Joyride is ready now to be sailed anywhere, and very well maintained by experienced sailors. No waiting months for a new Leopard 40, this is it, ready immediately.